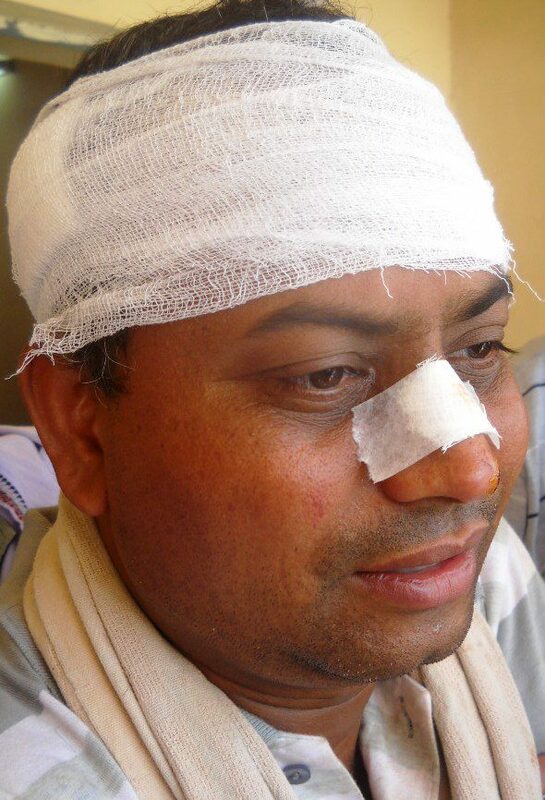 The MUFP condemns the brutal attack by armed police on TV reporter Amitabh Patra on April 29 early morning who was doing his duty of covering an agitation against Lower Suktel Dam in Dunguripali of Balangiri district. His TV camera has been smashed and he has sustained grievous injury on his head. No head scan has been done so far. Without any reason he has been arrested. 3. Restoration of his camera and returning the same to him in its original condition. 6. Provide proper protection to media persons on duty in sensitive areas and on sensitive matters. For MEDIA UNITY FOR FREEDOM OF PRESS (MUFP ), Presidium.